Aesthetically, the Discovery II retains its proportions. 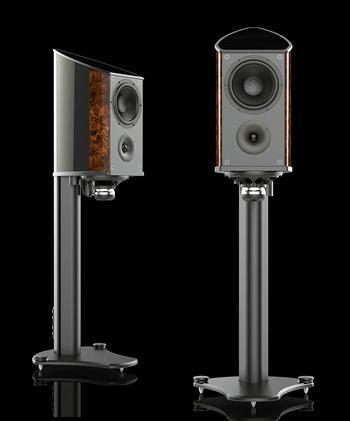 However the classic, high-technology appearance of loudspeaker has evolved into the modern era of Wilson Benesch design. Featuring a new machine finished alloy baffle, that terminates at its top and bottom extent into precision engineered CNC-machined alloy plates. Geometry Series aesthetic cues are visible across the design, but are most evident in the foot where the bevelled foot plate is finished with adjustable hand-wheels - a design common also to the A.C.T. One Evolution, Endeavour and Cardinal. "Every Wilson Benesch product I’ve heard presents music with startling clarity. It comes at you with blistering speed from a velvety-black backdrop. Dynamics are incredible and the detailing always surprises and delights."